Founded in 2012 by rising stars of the local area’s professional community including husband and wife team Alejandro Hernandez-Valdez (Artistic Director) and Grace Cho (Executive Director), NOW embodies mutual respect and admiration for one another’s artistry and a shared belief in the importance of revitalizing the role of music in our lives. "The New Orchestra of Washington has truly stepped out of the musical box." NOW’s mission is to make music relevant to new generations of audiences through virtuosic performances that combine a range of genres with fresh interpretations of classic works. Unconstrained by the structure or repertoire of traditional orchestras, NOW is modern and sustainable, proving how orchestral and chamber music can survive and flourish in the 21st century. NOW’s programming includes canonic works, commissioned pieces, and genre-bending adaptations; its current focus is on symphonic works adapted for chamber orchestra. This repertoire is of interest as an artistic challenge, as well as a practical solution to budgetary constraints. 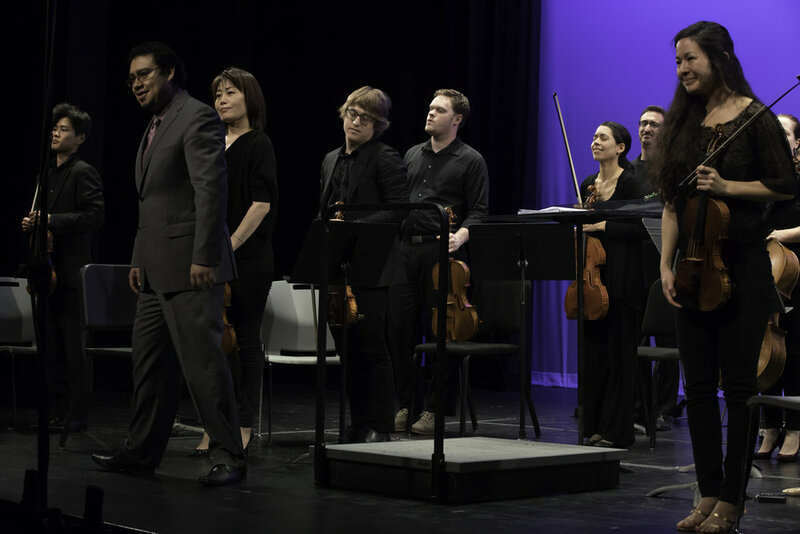 The chamber orchestra medium is especially suited to the challenges of the current arts economy. NOW expands and contracts to suit the needs of various repertoire and concert halls. NOW also streamlines its administrative overhead by utilizing musicians in administrative roles. Ensemble members serve as executive director, orchestra librarian/personnel manager, development director, and marketing director. NOW seeks out musicians who are first-tier performers with multiple skill-sets, to help the group continue to flourish in a highly competitive field. NOW's flexible size enables us to produce concerts at unique venues including: AMP by Strathmore (Rockville, MD) and the National Gallery of Art (Washington, DC). NOW has been presented at Bridgewater College (Bridgewater, VA), Shenandoah University (Winchester, VA) and Trinity Church Wall Street (New York, NY), First UCC (Washington, D.C.), Chuck Levin’s Washington Music Center (Wheaton, MD) and National Presbyterian Church (Washington, DC), to name a few. In addition to live performances, NOW makes high-quality live concert videos available for free to the public via YouTube, and produces commercial recordings on the ACIS label. NOW’s first album, Mahler Symphony No. 4, was released in October 2014. Its second album, featuring three recent world premieres by composers Joel Friedman, Elena Ruehr and Julian Wachner, was released in October 2017 with a CD Release Party at DC’s own Room&Board.